Abu Khdeir’s murder sparked a wave of terrorism in Jerusalem. 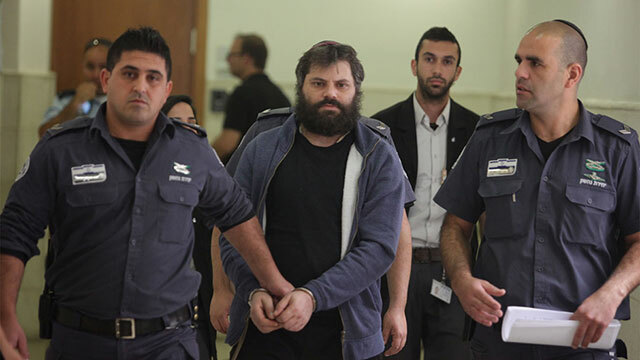 Ben-David and two minors, who were both convicted for their role in the murder, abducted the 16-year-old teenager and killed him after the funeral of the three Jewish teens Gil-Ad Shaer, Naftali Frenkel and Eyal Yifrach, who were kidnapped and murdered on June 12, 2014. A day earlier, the three defendants tried to kidnap seven-year-old Moussa Zaloum while he was walking down the street in Beit Hanina with his mother and two brothers. 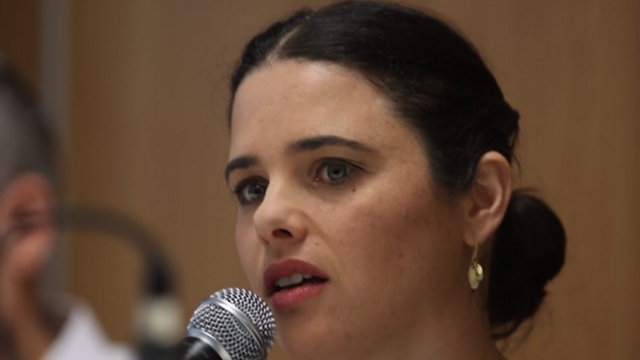 Minister of Justice Ayelet Shaked plans to promote a bill that would apply Israeli law to Jews living in the West Bank; Shaked: It is my goal to equalize conditions within one year. 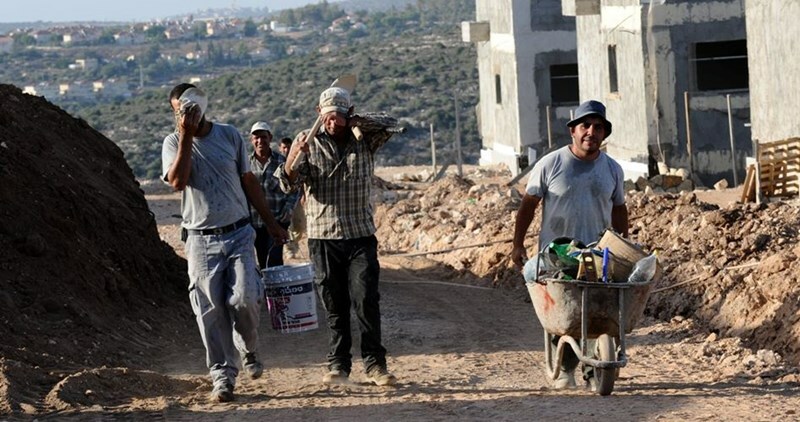 Minister of Justice Ayelet Shaked announced Sunday that she plans on promoting the “Norms Bill,” which aims to give the same legal rights to settlers living beyond the Green Line as Israeli citizens living within it. During Netanyahu’s last term, a “Norms Bill” wishing to apply Israeli law to the West Bank was brought before the Ministerial Committee for Legislation by MKs Orit Strook and Yariv Levin. Due to the objections of then-Attorney General Yehuda Weinstein, Netanyahu suspended the move, and it remained that way until its recent reintroduction. At present, Israeli law states that any legislation passed in the Knesset will take effect in the West Bank through a GOC decree. The bill states that as a result, the hundreds of thousands of Israelis living beyond the Green Line live their lives not according to laws passed by the Knesset, but according to decrees issued by the GOC Southern Command. Shaked disclosed that she has spoken to former Chief Justice Aharon Barak regarding the possibility of signing in a basic law that would allow the Knesset to circumvent rulings made by the High Court, adding that at present there is a disagreement over the size of the MK majority that should be needed in order to pass legislation that bypasses the High Court’s decisions. Israeli court cancelled construction bids in Afula city in 1948 Occupied Palestine after Palestinian contractors had won the tenders. The Israeli court decision outraged Palestinians in 1948 Occupied Palestine and perceived it as evidence on Israeli racism against Arabs. MK Ahmad al-Tibi along with MK Usama al-Saadi described the decision as shameful and racist. They underlined in a statement that the court’s decision answers the demands of Israeli extremists who keep calling for expelling Arabs from Afula city. Netzah Yehuda soldier was on leave from the army and wearing civilian clothes when the incident occurred; investigation found there was no apparent reason for his actions, while the soldier claimed he felt threatened. A combat soldier from the ultra-Orthodox battalion Netzah Yehuda was sentenced to 17 days in military prison on Monday after cocking his rifle and aiming it at an Israeli Arab in Jerusalem during the Passover holiday. On Saturday, which coincided with the first day of Passover, the soldier visited Jerusalem's Old City while on leave from the army. He was dressed in civilian clothes and was carrying his rifle with the magazine inserted. Despite the fact that the soldier was not under threat and there was no operational need for it, the soldier cocked his rifle at an Israeli Arab passerby. The soldier told the police that he felt nervous and threatened. 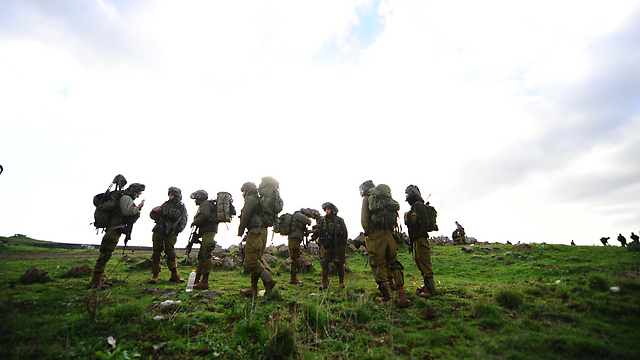 Police held the soldier for questioning, at the end of which it was decided to hand the investigation over to the IDF's criminal investigation division. The IDF said the soldier faced a court martial by his battalion commander and was sentenced to jail time after being found guilty of an illegal use of a firearm. The decision on whether to remove him from his combat position will be made after he is done serving his sentence. 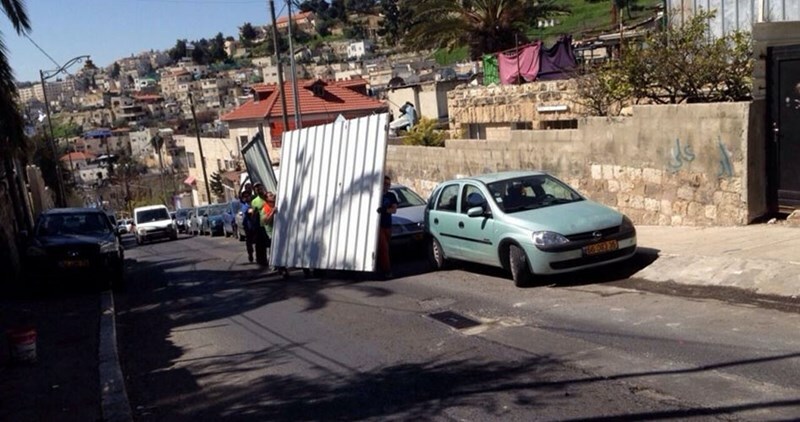 This isn't the first incident that involved soldiers from the Haredi battalion. About two weeks ago, soldiers from the battalion burned a Palestinian flag they confiscated from a vehicle. The squad commander was sentenced to 20 days in prison and removed from his commanding position, while another soldier was confined to the base for 28 days. The Israeli occupation army on Friday released an Israeli soldier four days after he had been convicted of murdering a Palestinian youth, Israeli press reported. According to the Israeli Yedioth Aharonot newspaper, the release came so as to allow the soldier to celebrate the Jewish Passover holiday with his family in al-Ramla city. The soldier was received by his father near an Israeli military camp in Tel Aviv and was transferred to his family home in al-Ramla, where he was received by a horde of extremist Israeli settlers. Four days earlier, the Jaffa military court convicted the soldier of causing the death of the Palestinian youth Abdul Fattah al-Sharif in al-Khalil city a few weeks ago. The soldier opened fire at al-Sharif while he was bleeding on the ground. Israeli preliminary investigations proved that the bullet fired by the newly-released soldier had caused his death. Sgt. 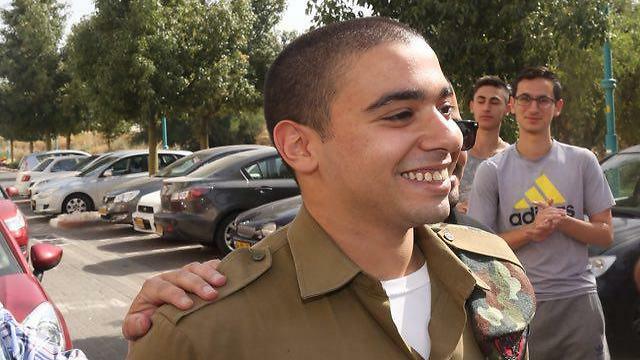 Elor Azaria, an IDF soldier charged with manslaughter after shooting dead a neutralized Palestinian terrorist in Hebron, was released from detention on Friday morning. After 29 days under arrest, Azaria was allowed by the military court to celebrate the Seder, a ritual feast held on the eve of the Jewish holiday of Passover, at home with his family in Ramla. Azaria's father and another relative arrived at the Nachshonim base near Rosh HaAyin to drive him home, where right wing activists were waiting for him with support signs. Azaria's arrival home was accompanied by celebrations, with right wing activists carrying him on their shoulders. After giving her son a long hug, his mother told him: "Welcome, my child. Welcome home." His father had a message to the Israeli public, "Thank you to the people of Israel and to the court for allowing him to be at home for Passover. We want to be a normal family." Azaria himself avoided making any comments to reporters who arrived at the family home. The indictment filed against Azaria on Monday claims that "the soldier took several steps towards the terrorists, aimed at his head and fired a single bullet from short range. This the defendant did in contravention of the rules of engagement and without operational justification." He was also charged with inappropriate behavior. However, in the same hearing, the military judge criticized the prosecution, and warned that the evidence was weak. "The level of criminality of the defendant might be lower than what the prosecution attributes him," Judge Lt.-Col. Ronen Shor said. Investigators did not find any indication that Azaria supports or has been involved with radical right wing groups. However, in posts he made on Facebook before beginning his army service, he expressed support for the revenge of the kidnapping and murder of the three Israeli teenagers. On March 24, two terrorists armed with knives stabbed a soldier, moderately wounding him, at an IDF post near the Tel Rumeida neighborhood in Hebron. The two were shot and neutralized by soldiers from the IDF's Kfir Brigade, and the wounded soldier's condition was later downgraded to light. A video filmed several minutes later by B'Tselem volunteer Emad abu-Shamsiyah shows one of the terrorists, Abed al Fatah a-Sharif, lying on the ground motionless, when Azaria, who arrived at the scene of the attack several minutes later, aims his weapon at him and shoots him in the head. An autopsy performed on a-Sharif found he was alive when he was shot, and died as a result of the shot to the head - not from the wounds he sustained before.